ESPT’s Director, Jacon C. Chun, MPT, SCS, ATC, CSCS, had an article published in the most recent issue of ADVANCE for Physical Therapy and Rehab Medicine. 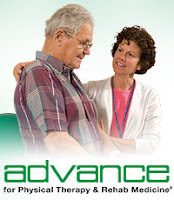 ADVANCE is a national publication for physical therapists highlighting new advances in technology, current trends in rehabilitation, and job openings available for PT’s and PT assistants. Physical therapy is no longer just about ultrasound, massage, exercise, and electrical stimulation. A good therapist is not just an “exercise technician” or the extension of an MD. True physical therapists can evaluate and treat any musculoskeletal disorder, using current evidence and theory to support their rationales. The article in ADVANCE highlights new technology that clinicians are using in rehabilitation, specifically an Anti-Gravity Treadmill that helps progressively load patients to help restore their lower extremity strength and normalize gait mechanics. Jacon hopes to bring the first one to the Fremont area later this year. “Physical therapy in the 21st century is so much more. I hope that everyone gets the chance to experience what good clinicians with cutting-edge technology can do,” states Jacon. If you want to experience the level of care that professional athletes receive, don’t hesitate to call ESPT for your appointment. With offices in Dublin (925.452.4656) and Fremont (510.656.3777), ESPT is looking forward to serving your rehabilitative needs. 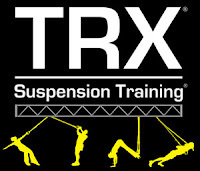 TR Suspension Training is now available at ESPT Fremont and will be coming to ESPT Dublin. Born in the U.S. Navy Seals, TRX Suspension Training is a revolutionary method of leveraged body weight exercise being used by pro athletes and fitness facilities. Easily set up TRX users can safely perform hundreds of exercises that can build power, strength, flexibility, balance, and mobility. In addition to training, sports physical therapists are now using TRX to rehab patients and athletes. TRX is a wonderful tool for all levels of patients. Users can easily adjust the resistance to meet their needs, while challenging muscles in multiple planes. Multi-planar movements are much more functional than standard one plane exercises. The result is more specific training, that is more similar to how we actually use muscles. Even though TRX weighs less than 2-lbs., it delivers greater performance and functionality than large machines that cost thousands of dollars. As a result, it is seeing great adoption in fitness facilities across the nation. It is available at many Bay Area health clubs, and there is even a TRX specific training facility in San Francisco. 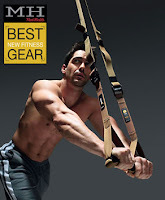 Call us in Fremont at 510.656.3777 to set up your appointment to try the TRX. Coming in the future to our facility in Dublin. Elite Sports Physical Therapy is one of the few physical therapy clinics in both the Tri-City and Tri-Valley areas that you can follow on social media. You can follow us on Twitter, like us on Facebook, of check us out on YouTube. In our current world text messages, tweets, updates, and emails, this is the wave of the future and ESPT is not afraid to be a leader. Check in with us on a regular basis to get updates on the clinic, including postings for upcoming events and information about how to best care for yourself. Approximately 27 million Americans with with osteoarthritis, the most common form of arthritis, according to the Arthritis Foundation. Osteoarthritis is a result of mechanical wear on joints, but studies have also show that not loading cartilage enough could also be a detriment. 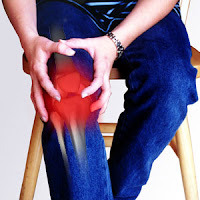 In an article on Medical News Today, one of the non-surgical treatment options for osteoarthritis is physical therapy. By getting a custom exercise program from a licensed physical therapist, people suffering from arthritis can get guidance on lifestyle modifications and can modify pain by improving strength, flexibility, posture, and balance. For more information on how physical therapy can help, please do not hesitate to contact us at Elite Sports Physical Therapy at 510.656.3777 (Fremont) or 925.452.4656 (Dublin). Or check out our website at www.espt-ca.com for more information. We look forward to serving your physical therapy needs. Pilates Options Grow At ESPT!! 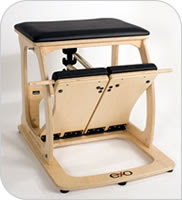 New to Elite Sports Physical Therapy this month is the EXO Chair by Balanced Body. This beautifully crafted piece of pilates equipment delivers a “unique and fun, full-body workout,” according to the Balanced Body website. The pilates chair gives therapists and patients a plethora of new exercises not previously available with other equipment. Challenging cardio and aerobic workouts can be performed with the chair and it is great for individual use by patients of all levels. From elite athletes to pregnant women to seniors, the EXO Chair allows for strengthening, flexibility, endurance, balance, and core work in a fun, new modality. For more information about the EXO Chair or to sign up for classes with our pilates expert, Charissa Chaban, PT, ATC, please contact ESPT at 510.656.3777. Feel free to check us out at our website: www.espt-ca.com. One of the most important things for any business owner, is the ability to communicate with their clients. Addressing their needs, is one very important way to ensure that you are being relevant and current. In the near future, Elite Sports Physical Therapy (ESPT) will be posting videos on YouTube on numerous physical therapy and health/wellness topics. Be on the lookout at our channel at: www.youtube.com/user/EliteSportsPT. Subscribe and you’ll be notified when we post new videos. Data Shows ESPT is Fremont’s Best! As Elite Sports Physical Therapy (ESPT) embarks on its 4th year providing sports and orthopedic rehabilitation to Fremont and the surrounding communities, it continues to establish itself as Fremont’s Premier Physical Therapy Clinic. Based on data collected for an outcomes study in conjunction with the Physical Therapy Provider Network (PTPN)/Physiquality, ESPT is 1 of only 2 clinics in the Fremont/Newark/Union City area that exceeds benchmarks for outcomes and efficiency. The data collected measured clinic abilities in 2 main areas: Outcomes Benchmark and Efficiency Benchmark. The Outcomes Benchmark measures how well an office achieves expected treatment outcomes based on much improvement patients receive. What this says is that ESPT is able to help patients improve and reach their goals better than its competitors. In other words, if you want physical therapy that you can trust in to get you better, you’ll choose ESPT. 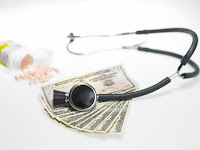 The second area of a clinic that is evaluated is its Efficiency Benchmark. Simply put, this measure indicates how efficient each office is in being able to achieve positive treatment outcomes. Higher ratings mean greater efficiency, because patients gain more improvement in fewer visits. So if you want to get better FAST, there’s no other place in Fremont except Elite Sports Physical Therapy. What is unique about our facility is that we provide the most 1-on-1 physical therapist time of any clinic in the area. And obviously the data shows that it’s working. In addition to that, we have the latest cutting edge equipment and we have a team of the city’s most experienced physical therapists. No PT on staff has less than 5 years of experience and we have the only Board Certified Sports Clinical Specialist and the only Certified Orthopedic Manual Therapist on staff. For more details about us, check out our website at www.espt-ca.com or call us for more info at 510.656.3777.